Fines, rising costs and increased regulations have caused Deutsche Bank to reduce the company's headcount by 25% or 23k jobs. Most of the cuts will be made to the bank's technology and back office operations. The layoffs will be concentrated in the bank's London, New York and Frankfurt locations. 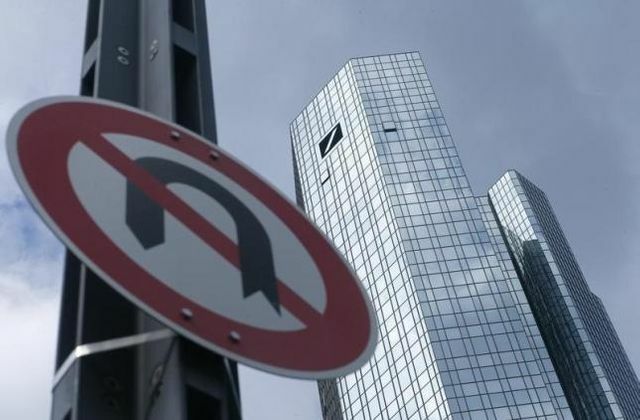 Deutsche Bank aims to cut roughly 23,000 jobs, or about one quarter of total staff, through layoffs mainly in technology activities and by spinning off its PostBank division, financial sources said on Monday. That would bring the group's workforce down to around 75,000 full-time positions under a reorganization being finalised by new Chief Executive John Cryan, who took control of Germany's biggest bank in July with the promise to cut costs. Cryan presented preliminary details of the plan to members of the supervisory board at the weekend. A spokesman for the bank declined comment. Deutsche's share price has suffered badly under stalled reforms and rising costs on top of fines and settlements that have pushed the bank down to the bottom of the valuation rankings of global investment banks. It has a price-book ratio of around 0.5, according to ThomsonReuters.